On May 4th-6th 2010 it will be possible to buy a new BagRollator to bring back home from Bella Center where AKPdesign are present at booth no. E0009 ! 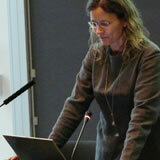 "It is with great pleasure we are able to deliver right away for the quick customers" Annette Krath Poulsen announces. 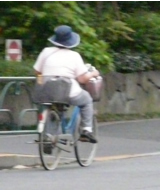 It has taken a long time go get the BagRollator to market. All ready in 2007 it was EU Design Registered, before it was presented to audience at the trade show. In 2009 it was awarded no 3 in the competition of Best New Product. But it took quite some time to get the product ready to market through testing at the Danish Institute of Assistive Technology in accordance with the international standard ISO 11199-2:2005. 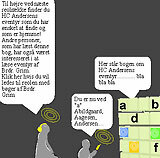 Now it is finally available on www.hmi-basen.dk with HMI nor. 51636. Together with Bornholms Regionskommune, AKPdesign has been honoured with financial support from "ABT Fonden" to experiment with new technology to create activities that make adults with multihandicap independant and enables them to be more active socially and individually. The project is the continuation of a previous analysis project where AKPdesign identifyed the need to create a more specific and adjustable service for the individual adult recident with different physical and psychological disabilities in the living institution Nexøhuset in Bornholm. Annette Krath Poulsen head of AKPdesign is member of the jury of this design competition for a new bike share system for the City of Copenhagen. The competition entries should highlight both design and functionality. In short: What will the new bicycle and the system look like? How does it work? 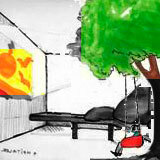 How will it be integrated in the city? How does the collective concept work  from booking and locating the bicycles to paying for them and delivering them back? Danish article by Brian Stræde and Jesper Krusell published in the September issue of the publication from Danish Institute of Assistive Technology "Teknologi og Handicap". AKPdesign and other innovators talk about innovation and challenges in the health care business. The innovative: BagRollator by AKPdesign is mentionned as part of the article regarding Healthcare and Wellfare Technology in Denmark, written by Anne Klejsgård Hansen. 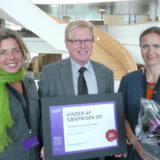 Hilde Schroll Jespersen and Annette Krath Poulsen together with Lyngby Private School has been awarded with a special award on PIONÆRDAGEN 2009 from Ministry of Education on September 2nd, 2009. The award is for the project: "Innovation on the schedule" and the jury states that the project is demonstrating a facilitated innovation proces and develops great models. They name the on-going project "an Upcoming Star". AKPdesign was part of the conference discussing "Wellfare technology with humans in center?"" 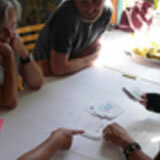 New technology must start with user needs in order to result in a practical succes. AKPdesign agrees on this and would like to add: It is of out most importance that assistive technology is aesthetic as well as functional. It has to be adaptable to individual life style and taste. The users desire beautiful products - even if they are technology driven! 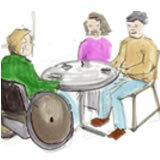 AKPdesign will be part of the Danish Cooperative Booth at RehaCare in Düsseldorf from October 14th-17th 2009. AKPdesign wish to build up international relations and locate new partners for export of products in the range: [inclusion] by AKPdesign. Bente Rødsgaard writes about the news from Health & Rehab and mentions the Taskerollatoren who entered third in the competition on this years best new product award..
Link to Handicap Nyt juni 2009 via www.dhf-net.dk. AKPdesign has initiated the project aiming at designing specifications for The Best Care Toilet through user and expert involvement in Nexøhuset. The project is building on the latest new technology for toilets as well as newest trends on lifting and patient handling. The ambition is to develop a solution that enables both a good user experience and a good working environment. The project will end in October 2010 and involves a group of private companies through the Danish Rehab Group as well as several public institutions following the process. Contact Annette Krath Poulsen, AKPdesign for further info on the project! Once again AKPdesign exhibited innovative concepts at the Scandinavian meeting place - this year focus will be on technology for wellfare and the user driven proces. 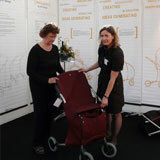 Also, AKPdesign presented the result of 3 years hard work developing the new BagRollator designed for shopping. 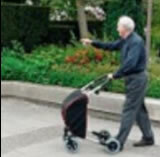 The BagRollator was honoured as number 3 in the Best New Product award competition this year! 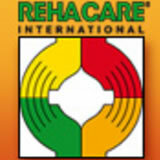 > Visit website for Health & Rehab 2009. 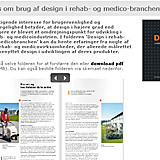 The Danish Design Center has published a collection of stories on how design as played an active role in rehab and medico for public and private businesses. On page 12 there is an article by Stine Bjerre Herdel where Annette Krath Poulsen, AKPdesign states her opinion on 'The New Generation of Elderly Users' who demand beautiful as well as functional products for assisting them in their everyday life. AKPdesign has developed several products for this target group, e.g. 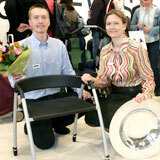 the innovative BagRollator and the BathChair TRUST that was honored with the Best New Product Award in 2006. If you are allready a user of FaceBook you might want to keep track on our FaceBook activities. 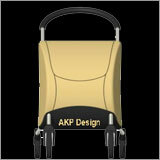 Search for AKPdesign and you will find us! Sign up as a Fan to catch the activity reports from research and study trips, new ideas and net work with users and experts. And to receive invitations to relevant events. IDA (Association of engineers in Denmark) and KL (Local Government Denmark) collaborated on putting welfare technology on the political agenda at a conference in the House of the Engineers on March 31st 2008. Focus was on better life quality through self support and mobility for people with disabilities as well as better work situations for care people. The potential is huge, which Annette Krath Poulsen, AKPdesign, stated in her talk on the possibilities of designing and developing new products and services through user driven design methods in cross competence teamwork. Annette Krath Poulsen showed inspirational pictures of use of technology in the healthcare sector from both the US and Japan. - Follow this link to read about the conference on KL's homepage. The new BagRollator has an integrated resting seat and a large bag for private items and groceries. 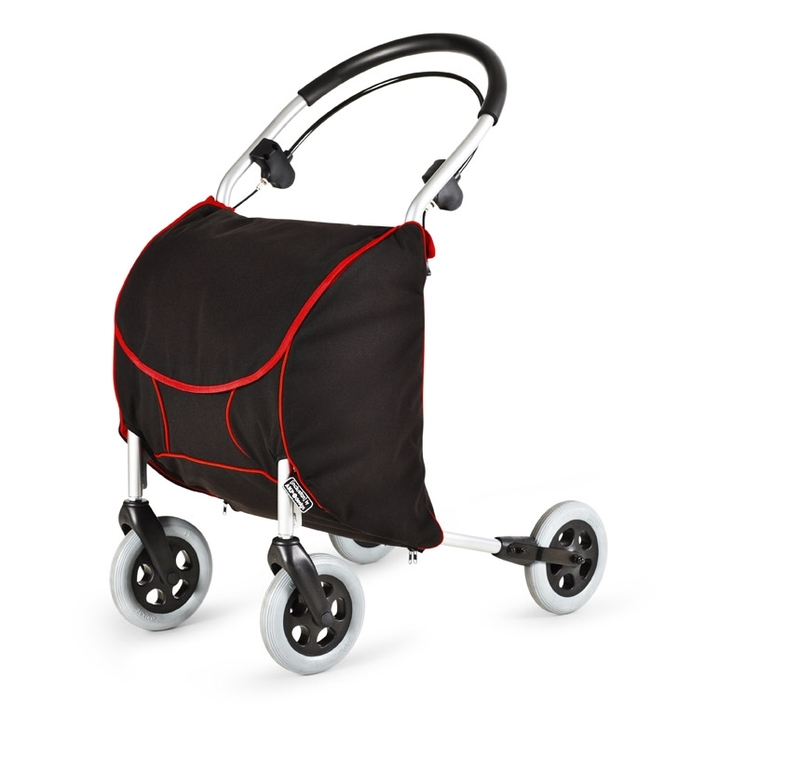 It has an oval push handle that makes it possible to push the rollator with one hand and swing the other hand! It matches standards for traditional rollators but is for very active people who need a rollator for the daily shopping trip and prefer high quality and design. Nexøhuset transforms from a youth home for young people with multi handicaps to a home for elderly people with multi handicaps. This gives a lot of challenges as there will be more space, more liberty, own apartments with bathrooms and toilets while at the same time the resources will be the same all though need for care and heavy lifting etc. increases. AKPdesign were chosen by the Danish Enterprise and Construction Authority to analyze and explore the possibilities for innovations and changes in Nexøhuset through user driven design methods. Read the report summary done after 6 months period. 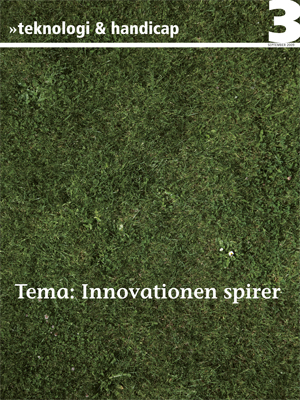 or visit the website of the Danish Enterprise and Construction Authority for the full report (in Danish only). Annette Krath Poulsen talks about experiences and knowledge on user driven design and innovation in healthcare, to share with public and private organizations and businesses. In 2007 Annette Krath Poulsen has given talks at 'Muskelsvindforeningen' and 'Design For Alle' Forum, where focus has been on methods for userdriven design. The talks are based on real cases and AKPdesign's work for more than 10 years designing products and services in the healthcare industry with the many different users with and without disabilities. 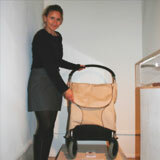 The new BagRollator from AKPdesign is exhibited from November 2007 to December 2008 at Medicinsk Museion, Bredgade, Copenhagen. 'Oldetopia' is the name of the exhibition that relates to aging by taking the visitor through exiting experiences of change in the human body as well as newest high tech assistive products like the 'nano-pain-pump' and antiques like the 'hearing pipe'. The exhibition is great for both children and adults! Follow this link to read more from the Oldetopia homepage. AKPdesign has created a new concept for assistive technology and technical aids, marketed under the name [inclusion] by AKPdesign. The first designs in this concept is a series of design rollators for indoor and outdoor use and a series of design products for the exclusive bathroom. The products are designed with focus on including people with disabilities and the aim is to make the products desirable and aesthetic as well as functional. One of the design products has attached the attention in particular. The BagRollator, that set new standards for rollators, because it looks like a shopping bag, but has all features as a traditional rollator. 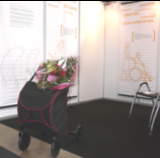 For the first time ever, AKPdesign was present at the annual Danish trade fair in the health care and rehab-sector. The purpose was to invite potential business partners and users to see innovative prototypes and to demonstrate that it is possible to design beautiful as well as functional products for people with disabilities. Design concepts for new rollators for indoor and outdoor use, new grips for the house and new products for the bathroom will be on display. 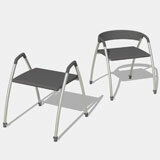 The new designs, especially the new BagRollator, where very well received by the users as well as international buyers. 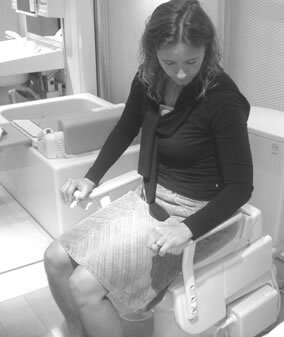 Award: Annette Krath Poulsen has designed a bath chair for people with disabilities that breaks down barriers between design furniture and technical aids. At Rehab Scandinavia in Bella Center, Copenhagen, April 25th, 2006 the bath chair was chosen as 'Best New Product' among 45 new products. On the picture is Annette Krath Poulsen (right) with manufacturer Jesper Lundqvist, ProMovec (left.). AKPdesign has designed a new bath chair TRUST and re-designed a manual, transport wheelchair Vision in collaboration with Zealand Care A/S and ProMovec A/S. 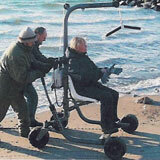 Both products are presented at Rehab Trade Fair in April 2006 in Bella Center Copenhagen. In future users and public buyers will demand beautiful as well as functional products at a low price. These new products are part of a whole new trend in health care designed for this future market! From January 2006 the Internet service www.KapHandi.dk will continue at SBI.dk whilst Danish Center For Accessibility becomes part of SBI. 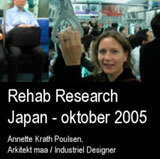 Annette Krath Poulsen traveled to the annual trade fair for rehab and health care HCR in Tokyo to study products, robots and people, and to visit care centers, institutions, organizations and manufacturers within the health care industry in Japan. The purpose was to catch the newest trends in technology in health care and create network and business relations. If you are interested in hearing about the future trends contact AKPdesign! From June-November you can see the exhibition "Danish - Framing the Future of Design" at Danish Design Center in Copenhagen. 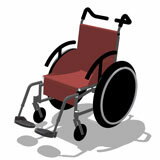 One of the chosen products is the basic wheel chair designed by AKPdesign for Zealand Care A/S and manufacturer ProMovec A/S. This wheelchair 'Vision' is a re-design of the traditional transport wheelchair that matches user needs and desires at low cost. ContactProMovec A/S for further information. 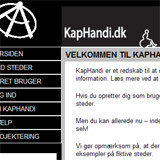 From January 2005 the Internet service www.KapHandi.dk regarding accessibility will be driven by Danish Center For Accessibility. The website will be renamed www.adgang.info. Read more about Design For All Award and see the winners! Together with Danish Center For Accessibility and IT company Unitix AKPdesign has developed the Internet Service www.KapHandi.dk with funding from Realdania, Vanførefonden, Tips- og Lottomidlerne til Friluftslivet and TrygFonden. The service is presented at Rehab-Scandinavia at a mini-seminar May 26th, 2004 in collaboration with FTA - www.godadgang.dk. 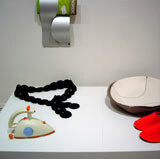 The iron named "Coup de Coer" that Annette Krath Poulsen designed in 1992 for Moulinex in Frankrig is chosen to the exhibition Cool Nordic: Hot Women Designers at National Museum of Women In The Arts i Washington, USA. From April 24th to September 12th, 2004. 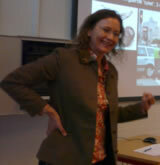 Annette Krath Poulsen was member of the jury to decide who had invented the best product for elder mobility. 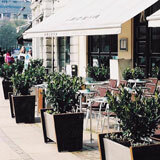 First Café Amokka and then Restaurant Vesuvio, Hotel Ansgar and SBS Byfornyelse has ordered the beautiful flowerbeds in wood and steel designed by Annette Krath Poulsen an produced by Vilbyg. A lift for outdoor use, designed by Annette Krath Poulsen, is on display September 11-21, 2001 in Slagelse Music House in relation to the exhibition: 'Design as Business Tool' arranged by Western Zealand Business Council. Leg Lift designed by Annette Krath Poulsen, is exhibited at Lerchenborg Castle from June 9th till July 29th, 2001. The exhibition is arranged by the cultural administration in Western Zealand. Several years working with end users and experts has resulted in a new series of products that set new standards for excellent design auxiliaries. [inclusion] by AKPdesign matches the needs and demands from the new aging population - the grey gold population - and are both functional and aesthetic in the true Danish design tradition. The first products in the new brand are: New shopping rollators, new indoor rollators, new grips for the home and new bath boards for the exclusive bathroom. 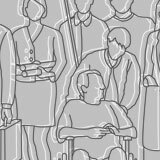 Partnering with Roskilde Library and The Danish Building Research Institute, AKPdesign has received funding from the Danish Library Agency to investigate how technology can improve accessibility to the public library through a design and innovation process focusing on users with different disabilities. The project is will lead to the development of an actual pilot-testing facility at Roskilde Library with several other private business partners.